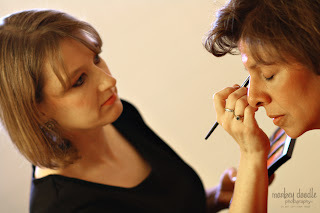 Makeup by Keri Ann: Makeup Tip #1 - Skin Care is Where it Starts! Makeup Tip #1 - Skin Care is Where it Starts! There is a saying that says "Behind every great man there is a great woman." I am going to alter that quote and say that "Behind every great made up face there is a great skin care routine." Makeup should enhance your beauty. Ideally, makeup should not be used as your primary solution to solve issues that could be resolved with a good skin care routine. There is no doubt about it, good skin care DOES require an investment. You have to invest in quality products AND you have to invest the time it takes to take care of your skin. You only get one face. Don't you think you should learn to take care of it properly, so that it looks great years from now? Take note: you may need to adjust your skin care routine periodically. The climate, your age, hormones OR even life altering events can be reasons your skin care routine may need an adjustment. Stress can play a big roll in how you feel and how your skin looks, so find ways to deal with that as well. Be Patient! If you are just starting a new skin care regimen or changing product lines, you may need to wait 4-6 weeks to see the desired results. Take a picture before you start and monitor your progress. It may be normal for you to see additional blackheads or blemishes at first, as your skin may be adjusting to your new products. Do your homework before investing. There are many great products out there. Try to get sample sizes before you invest. Make sure you choose a product line that be customized for your individual needs. No matter what skin care line you choose to go with, use ALL of the products in the line. Many magazines and artists encourage using different brands. Do you use the same brand of shampoo and conditioner on your hair? The odds are pretty good that the answer is "yes" to that question. I am guessing you use the same brand because you know the two products were designed to work together. Why should your skin care products be any different? Cleanse - Use cleanser twice a day, EVERY day! If you are really lazy, make sure you have a cleanser in your shower and a cleanser by your sink, so you have no excuses to cleanse. Tone - Use a toner twice a day, EVERY day to tone and tighten your pores. Exfoliate - Use an exfoliant two-three times a week to remove dead skin cells and bring fresh skin to the surface. Some people include foundation as a skin care step. I do believe it should be considered skin care too. Foundations today are much lighter and sheerer than in the past and you can choose from water based foundations to mineral powder foundations. Select a product that you enjoy wearing every day to protect your pores from the environment. We will discuss foundation in detail in the future! Does this sound like too much to do? Look for products that combine steps to make your routine a little faster. It may seem like a skin care routine takes a lot of time when you first get started, but you will become more efficient as you get used to doing it! Don't allow yourself to be oversold! If you are just starting a skin care routine, look for only the products we discussed here today. You can always add supplements later. Start simple! Know what your budget will allow you to spend and research products in that price range! ALWAYS ask for samples or travel sizes first! New makeup tips will be added every week! Still have questions? Contact me at info@makeupbykeriann.com!